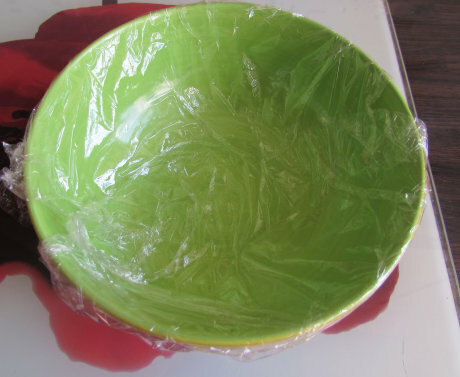 Line the bowl that you are using as a mould with cling film. Roll out the clay to about 5mm thick. Cut out petals with a knife and lay them in the bowl to form your flower. Use our photo as a guide. 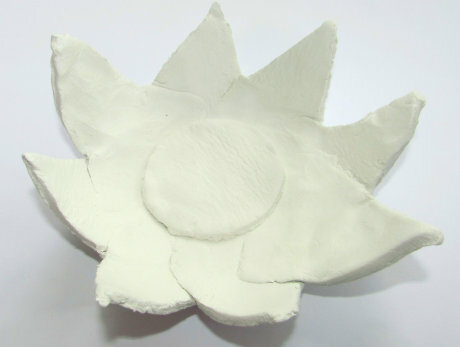 Dip your finger in water and moisten the clay to seal the joins between the petals and any cracks. 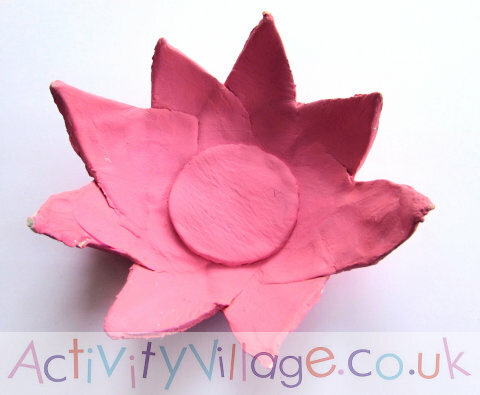 Cut out a small circle of clay and use water to stick to the centre of the flower. Set aside to dry for at least 24 hours. 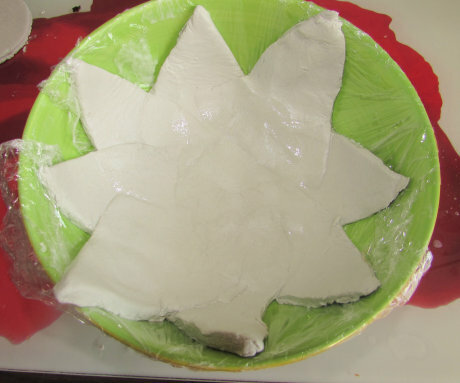 When the clay feels hard remove from the bowl and leave to dry upside down for at least anouther 24 hours so the base dries out. When the clay has completely hardened, paint and varnish the bowl.